When it was announced three years ago that Ghost was to be remade as a Broadway musical, I immediately responded with an exasperated WHY? It seems more plausible for a straight narrative (sans song and dance) to transition onto the stage as a play, but adding seemingly random song and dance numbers to an otherwise music-less story? That just seems awkward and completely unnecessary. Is Broadway that tapped out creatively that it will soon be filled only with revivals of old shows and movie remakes? Well, like any medium, Broadway is having a moment. TV is experiencing a new golden age, the big screen is weighed down with a lot of everything (but mostly comic book films and dystopian YA stories), and theater is striking a new chord by adapting films from the big screen. But fret not, Broadway's new beat is actually pretty good. In fact, box office sales and good word of mouth have undoubtedly led the way for films like Frozen and The First Wives Club to hit the stage soon. While I can attest that The Little Mermaid on Broadway several years back was godawful (and I hear Ghost was also bad), The Great White Way has done the unimaginable by turning the dark and seemingly untheatrical stories of Heathers and Rocky into spectacular shows that aren't hampered by arbitrary song and dance numbers, but rather enhanced by them. 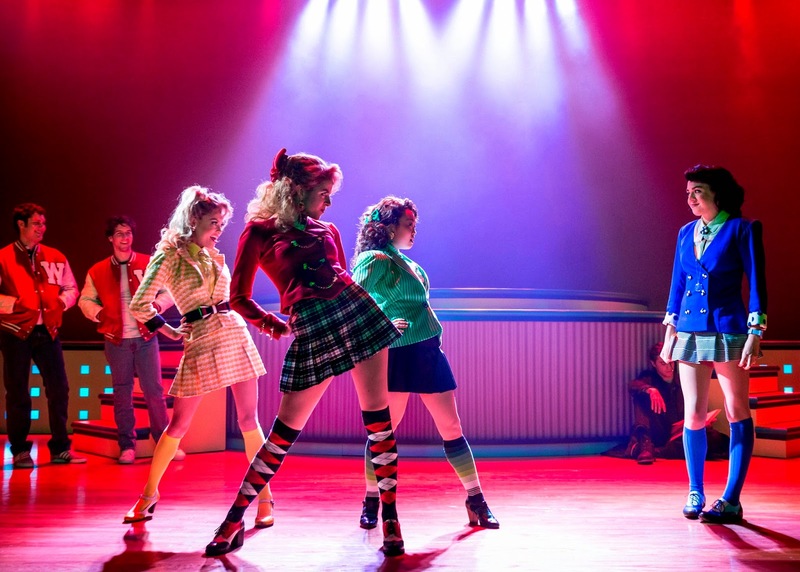 Like many others fans that recognize Heathers as a classic, I was worried that a Broadway rendition would turn the story into a flowery Clueless wannabe (come to think of it, when's THAT going to come to the stage?). Instead, it retains the witty and often macabre nature of the film and premise, and adds appropriate song lyrics and even expands on the story's subtextual gay themes (The "I love my dead gay son" line is an actual showstopping number performed by the entire ensemble). And it is incredible. Plus, one of the mean girl Heathers was played by Asian actress Alice Lee at the performance I saw several weeks ago. Since then, African-American actress Kristolyn Lloyd has reprised the role of Heather Duke, a move which provides more proof that Broadway (or, in this case, off-Broadway) is far more kind to diverse actors than, say, the big screen. Heathers: The Musical is directed by Andy Fickman, with music, book and lyrics by Laurence O'Keefe and Kevin Murphy. Similarly, Rocky is another Broadway surprise. This was a huge gamble to re-imagine as a musical, but it certainly paid off. While its titular star Andy Karl has received most the accolades for his performance as the boxing underdog (whose voice is a dead ringer for Sylvester Stallone), the rest of the cast is no slouch either. 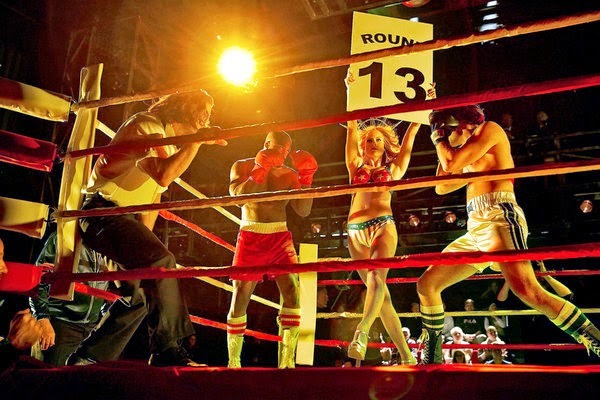 Terence Archie, who plays Rocky's ring nemesis Apollo Creed, is just as impressive from the moment he bursts onto the stage with his flashy "Apollo Girls" (think scantily clad women of The Price is Right with glittery costumes and big hair). Meanwhile, Rocky's sweetheart, Adrian (played at my performance by Michelle Aravena), could easily have been a shrinking violet amid all the flashiness of two huge personalities like Rocky and Apollo. But instead, like the film, Adrian is the beating heart of the show--punctuating her performance with the inspired "I'm Done" number (singing--dancing is notably absent from the show), during which she stands up to her interfering brother Paulie (Danny Mastrogiorgio, who's also great in the show). Everything about it is a spectacle in the greatest way possible, all the way up to the show's final sequence--a grandiose battle between two brawny men who are each trying to prove something. Just before the last few minutes, the ushers lead the first few rows onto the stage, which is pulled out into the audience and immediately embeds us into the action. It's just one of the many wonderful sequences in a massively innovative show that includes digital sequences of live news feeds of reporters interviewing Apollo and Rocky, and even a gorgeous running sequence that ends with Rocky cheering at the top of the steps of the Philadelphia Museum of Art. You definitely get your money's worth with this show. Rocky is directed by Alex Timbers, with music and lyrics by Stephen Flaherty and Lynn Ahrens (respectively). Chris Barreca designed the amazing set. Though I may have been skeptical about the new trend of Broadway movie remakes, I can tell you that these two newest offerings will convince any naysayer and will have you lobbying for more unconventional movies to be transformed into musicals. Seriously, in the right hands it could be so "very."